The following specialized reference sources examine American immigrant groups and cultures. 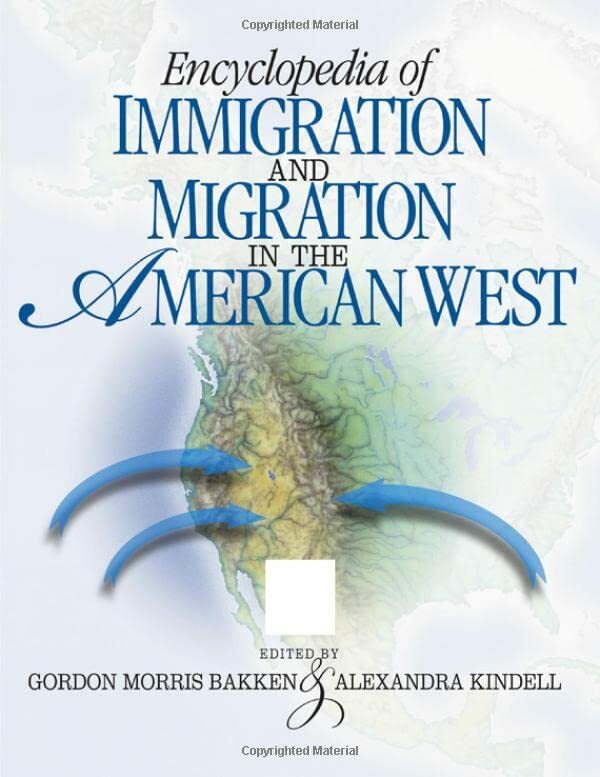 The Encyclopedia of Immigration and Migration in the American West provides much more than ethnic groups crossing the plains, landing at ports, or crossing borders; this two-volume work makes the history of the American West an important part of the American experience. Includes access to online reference works covering topics such as civil rights, the arts, education, history, literature, music, women, sports, religion, politics, music, notable Latino Americans, health, and business. Includes access to full-text encyclopedias, slave narratives, speeches, interviews, photographs, court cases and monographs. Offers individually-authored essays on a broad variety of topics related to the Asian American experience. Organized by more than twenty national-origin groups, topics covered include the arts, education, family, gender, culture, community and occupation. An excellent resource for Latino studies, edited by two WSU professors. Historical coverage of the United States and Canada from prehistory to the present. Contains citations and abstracts to journal articles, books reviews and dissertations published from 1954-present. A full-text collection of the newspapers, magazines and journals of the ethnic, minority and native press. A rich collection of articles, editorials, columns and reviews that provide diverse perspectives and viewpoints. This resource is especially useful for researching cultural life in the diaspora. The New York Times (1851-2003) offers full page and article images with searchable full text back to the first issue. You may trying doing a search related to your ethnic heritage and browse these historical headlines for insight into news and events surrounding first generation immigrants.